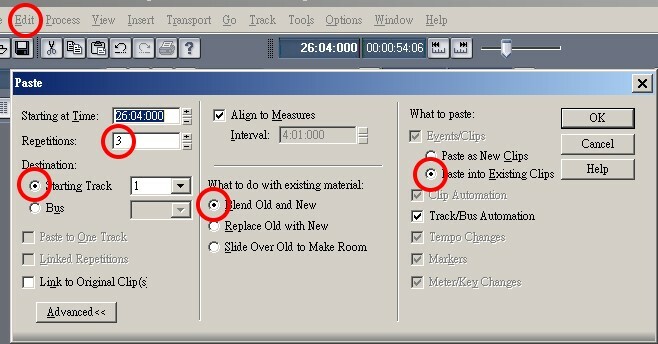 Extend the tool bar above the tracks and show the options. Use the ruler to mark the target area to copy. 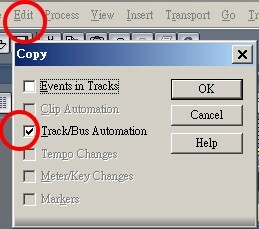 You may use the right click to drag and drop for copying. However it is easier to trigger wrong actions. 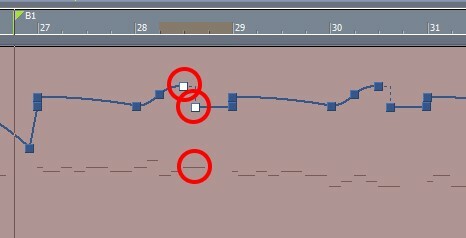 It is a good idea that the add-reduce goes backwards to the melody. 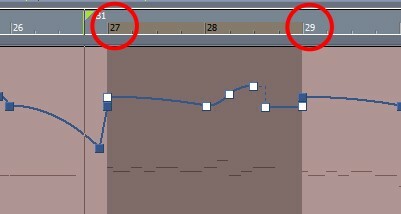 Reason: adding the velocity while the scale goes up in the same time that will produce bleeding sounds. 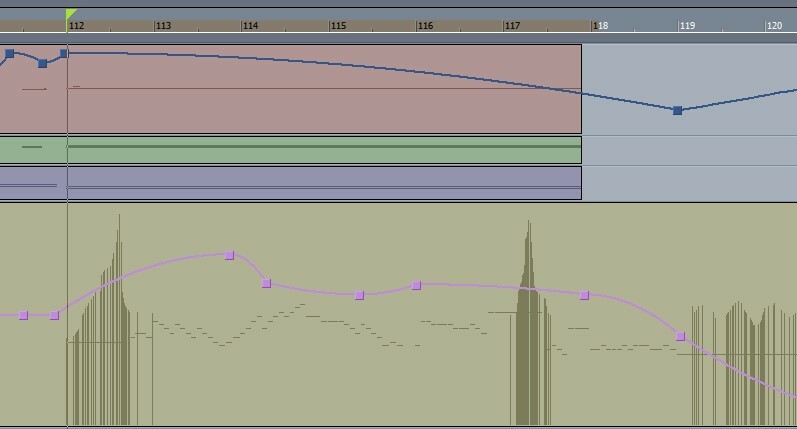 Use >Jump of the node options to create the 'accent' effect. A counterpoint design of Volume and Reverb will be a good idea to create the extension of space. 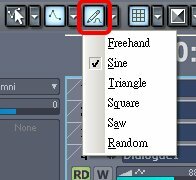 If you want to use hand drawing, click this icon. The icon on the left hand side will show or hide envelops.